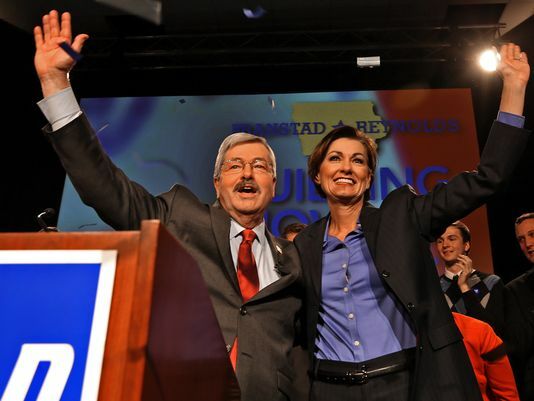 (DES MOINES) – Governor Branstad and Lt. Governor Reynolds today announced a subcommittee of the State Workforce Development Board has been established to address disparities in the minority unemployment rate in Iowa. According to the latest Census information, Iowa’s statewide unemployment rate was 3.9 percent, while African Americans had an unemployment rate of 14.2 percent, Native Americans had a rate of 11 percent, Asian Americans had a rate of 5.3 percent (other pacific islanders had a rate of 13.6 percent) and Hispanic Americans had a rate of 8.1 percent for the same time period. Former State Representative Wayne Ford is credited with bringing this issue to the State Workforce Development Board and helping in the development of the group’s goals and agenda. These counties were selected based on having high concentrations of minority residents and unemployment rates. Listening tours will be held in the spring, which will provide opportunities for members and leaders of the communities to gather a broad perspective and identify connections and influences within communities. A strategic plan will then be developed that aligns with the Future Ready Iowa Alliance’s recommendations to the Governor. The subcommittee includes Wayne Ford, Joshua Barr, Director, Des Moines Civil Rights Commission, Mayor Quentin Hart, Waterloo; Marvin DeJear Executive Director, Evelyn K Davis Center; Alex Piedras, Multicultural Director, Grand View University; Azadeh Tavakoli, Sac & Fox Tribe of the Mississippi in IA; Karl Cassell, Horizon Family Service Alliance; Steve Dust, Greater Cedar Valley Alliance & Chamber; Mike Ralston and Jessica Harder, Association of Business and Industry; Director Beth Townsend, Courtney Maxwell Greene, Cory Kelly and Ben Humphrey of Iowa Workforce Development; San Wong, Director, Department of Human Rights; Marcela Hermosillo, Iowa Dept. of Education; and Tim Perkins, Iowa Commission on Native American Affairs. The subcommittee will be chaired by State Workforce Board member, Andy Roberts, Business Manager, Local 33, Plumbers and Steamfitters. State Workforce Board member Carrie Duncan will also serve on the subcommittee.